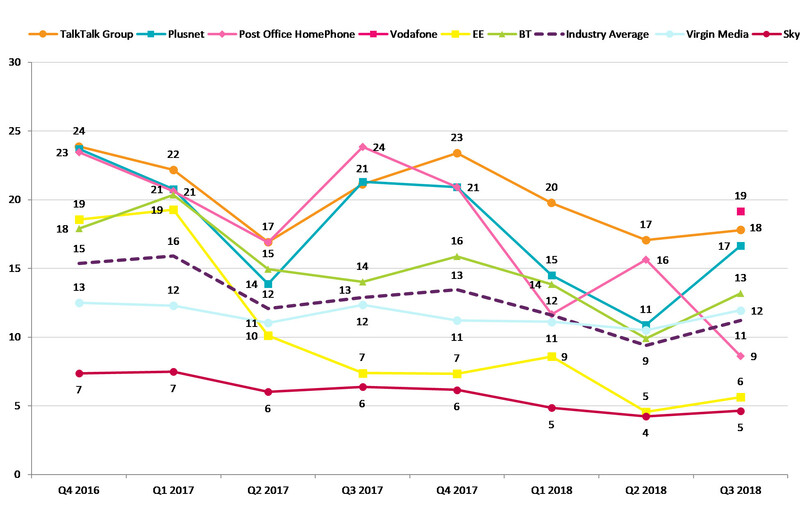 The good news for Vodafone is that, while its nascent fixed line efforts are the most complained about (to Ofcom, at least) the lead isn’t that great. 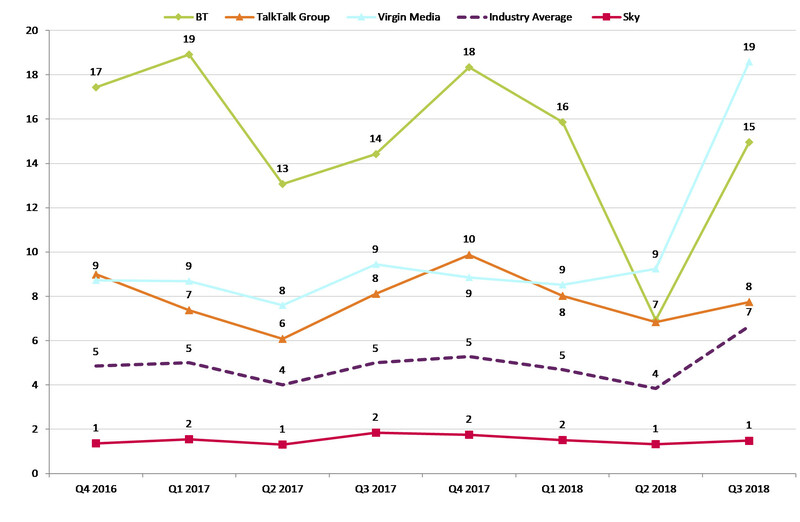 TalkTalk isn’t far behind in each case and there isn’t much of a gap to the chasing pack. Ofcom didn’t have anything to say about Vodafone specifically, contenting itself with the standard, generic fare. 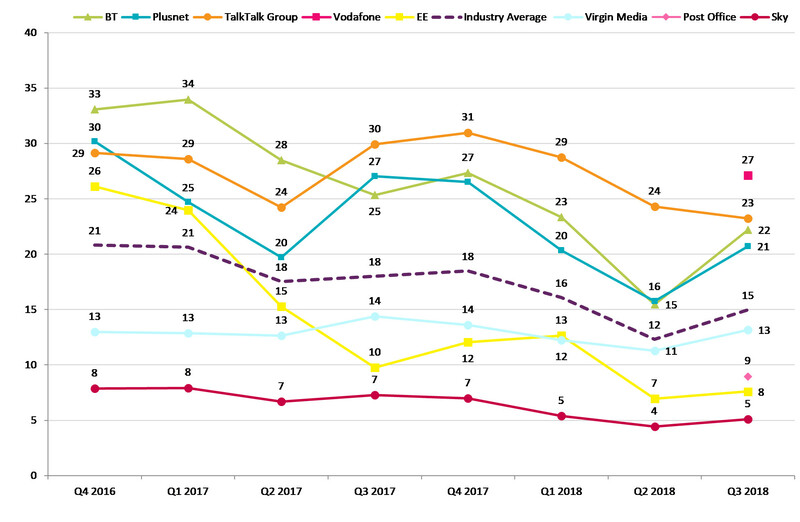 It’s not too surprising that a relatively new set of services should have some teething problems and therefore an elevated level of complaints, so we shouldn’t read too much into Vodafone’s performance for now. 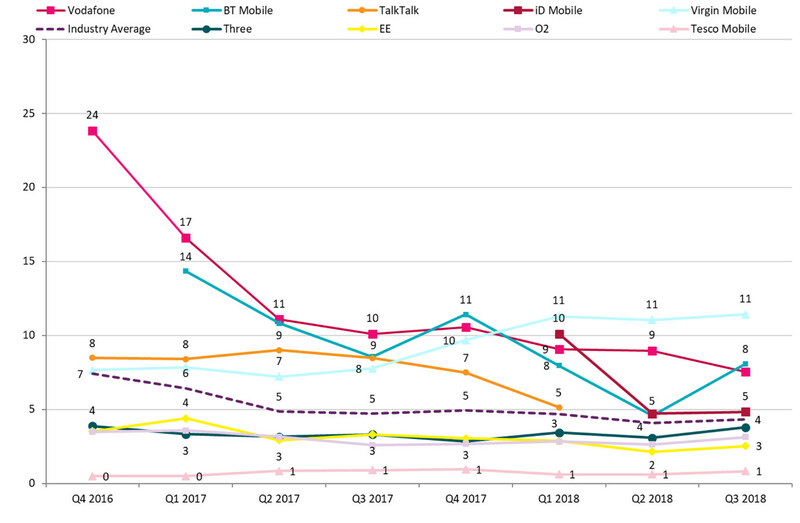 But if that level remains high for the next few quarters then that could indicate some more profound issues with Vodafone’s UK diversification.